Like a weed, CBD offerings were a little out of control at this year’s Expo West. There’s much to share on that topic, and we’ll get to it, but first, let’s look at some of the other standouts. Note: The post below is the quick skim version. For our in-depth analysis of what things could mean for your business, download our free detailed Expo West 2019 write-up with more photos of interesting products as well as more info on where the trends are coming from and where they might be going. We promise to respect your time and not send you daily news alerts or random and annoying solicitations. Who needs that? We will only share the most relevant and interesting information on topics that matter to you and our very latest in products and services (about twice a month). Hungry for more insights from Expo West 2019? We’re seeking comfort in different ways then we did in the past. We can attribute it to the ‘anxiety economy’ in which we live. As this column in Britain’s The Guardian explains, it’s shifted how we seek to soothe ourselves, and that plays out in food, personal care and CBD. Last year it was Hope in a Bar and while beauty food products were definitely present, we saw even more products catering to women-specific needs, notably around their reproductive cycles. 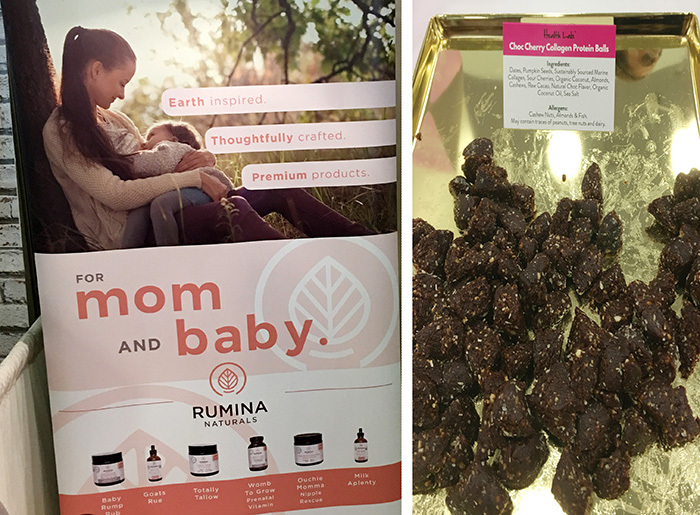 From supplements to creams, food to treats, we saw collagen, magnesium and other female-targeted ingredients. And a lot for baby and toddler too! 3 - Do You Keto? 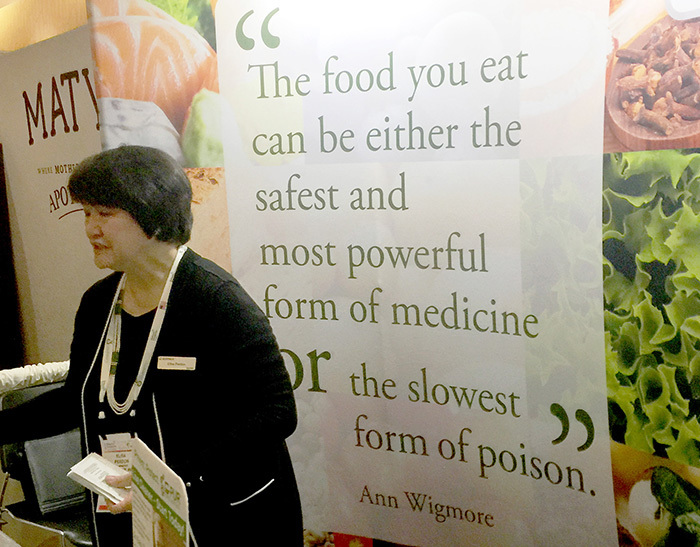 The diet of the past year is turning into a lifestyle, and Expo West had the products to support it. Want some Keto ice cream? Do you even know what the Keto diet is? We used to talk about permissible indulgence – foods with a modicum of health – think cheese-flavored popcorn – popcorn’s healthier than a chip, so it doesn’t feel as bad eating it. We’ve gone a step further now, putting a really healthy ingredient at the center so you can rationalize why you are eating it. Ice cream with vegetables, non-dairy desserts made from bananas, or featuring collagen for beauty. Anyway you think about it, it’s healthy, so why not dig in and enjoy? MCT Popcorn and veggie packed ice cream redefine your snack and dessert indulgence! Sometimes you have a solution in search of a problem, which may be the case with Szents, but it’s still a really cool innovation. The plethora of water that we saw last year has diminished but we did see the modulation of kombuchas with varying levels of carbonation and new flavors. Back to Szents, we do think there are some opportunities for the packaging innovation. Szents - A bottle with a scented ring around the mouth. Inhale as you drink and your mind plays tricks on you, making it seem as though the fluid in the bottle tastes like the scent you are smelling. 6 - Honey, I’m Home! Honey has gone beyond the bear jar to different sources and uses – including teas and medicinals. What else can honey do for you? Sacha Inchi, where have you been all my life? Packed with more protein, omegas, carotenoids and vitamin E, Sacha Inchi, aka the Inca peanut was on display while her friends, Pili and Baruka. We also discovered new uses for pistachio that were eye-opening. Going beyond the usual assortment of nuts, these provide different flavors and health benefits. What would you do with pistachios? A handful of Sacha Inchi – not your average nut - and taking Pili butters over the top with yummy flavors! And then there is CBD. All 180+ booths of CBD. What exactly does CBD do for you? People can’t say with authority due to regulatory status, but it “could” help align your endocannabinoid system, or it “should” help with the involuntary bodily functions like cellular regeneration, hair and nail growth and brain function. We can’t really say for sure, but one thing we know for sure, CBD was the star ingredient for 2019. In a show as big as Expo West we’re curious to know what stood out to you! Let’s chat! Email Rob Volpe at rob@ignite-360.com with your thoughts or questions!